Le Fin Gourmet restaurant serves buckwheat and wheat pancakes, salads and ice creams in a comfortable setting with a convivial atmosphere. Open Tuesday to Saturday from 11:30 a.m. to 10:30 p.m. throughout the day. 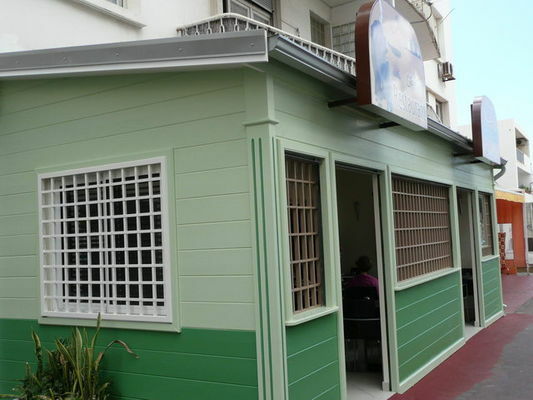 It is located in Saint-Denis town centre, near the shops and cultural facilities. Environment / Access : From the cannons of the Barachois, on Saint-Denis seafront, drive into the town centre along Avenue de la Victoire. After the cathedral, turn left into Rue Alexis de Villeneuve then turn right into Rue Charles Gounod. Turn right at the next crossroads, into Rue Victor Mac Auliffe. The restaurant is a few metres along on the right.